A woman who had her British citizenship revoked after she left the UK to join the so-called Islamic State (IS) is receiving legal aid for her ongoing battle to return home, local reports have said. 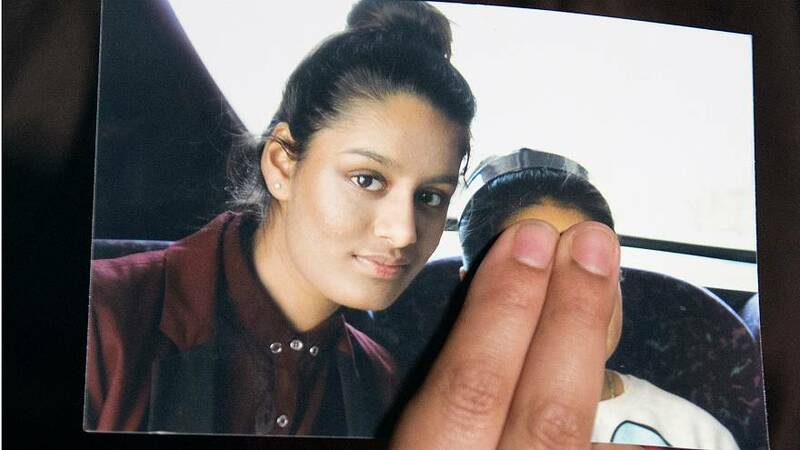 Shamima Begum first made headlines when she ran away with two friends at 15 years old to join the militant group in Syria. Now 19, Begum resurfaced when she told journalists earlier this year that she wanted to return home — the UK responded by revoking her citizenship. But a report from the Daily Mail on Monday said Begum's lawyer had confirmed that legal aid "had been granted" for her appeal against the citizenship decision. Euronews has also reached out to the lawyer and the UK's legal aid agency for comment. The UK's Foreign Secretary Jeremy Hunt told the BBC on Monday that reports of Begum receiving such aid made him feel "very uncomfortable." "She knew the choices she was making," he added. However, Hunt also stressed that such decisions from the agency were independent of politicians. A similar sentiment was also heard from UK Home Secretary Sajid Javid. But a recent report from The Telegraph, which interviewed a number of sources familiar with Begum, said the teenager had in fact been part of group's morality police. It went on to detail a specific incident in 2016 when Begum allegedly pointed a Klashnikov rifle at a woman in a street in Raqqa, saying her coloured shoes were not permitted. Despite public outcry, a number of experts have come out in support of legal aid and its reported decision. "The day we start making exceptions for the people who offend us the most is the day our civilisation crumbles," they wrote. Former police chief and Begum family friend Dal Babu also told the BBC that he believed Begum should receive the legal aid. "I think legal aid is a principle of the British legal justice system," he said.